Could You Have Walking Pneumonia? Hint: You may not even feel that bad. Walking pneumonia is a milder form of pneumonia that doesn’t knock you off your feet or send you to the hospital—or even home to bed. Some people don’t even realize they’re sick, and even those who do often don’t think they have something as serious-sounding as pneumonia (which, by definition, means an infection in your lungs). Walking pneumonia (also called atypical or mycoplasma pneumonia) is often confused with other respiratory conditions including bronchitis, the flu, and the common cold. There are some characteristics, though, that help distinguish this type of pneumonia from other conditions, including its more severe cousins. “Walking pneumonia is usually spread in the late summer and early fall,” says Dr. Rutland, who is also an assistant clinical professor at the University of California, Riverside School of Medicine. Other respiratory illnesses tend to peak in the winter when everyone is clustered together indoors. Walking pneumonia is also more likely to strike children, who then bring it home and pass it to adults (lovely). 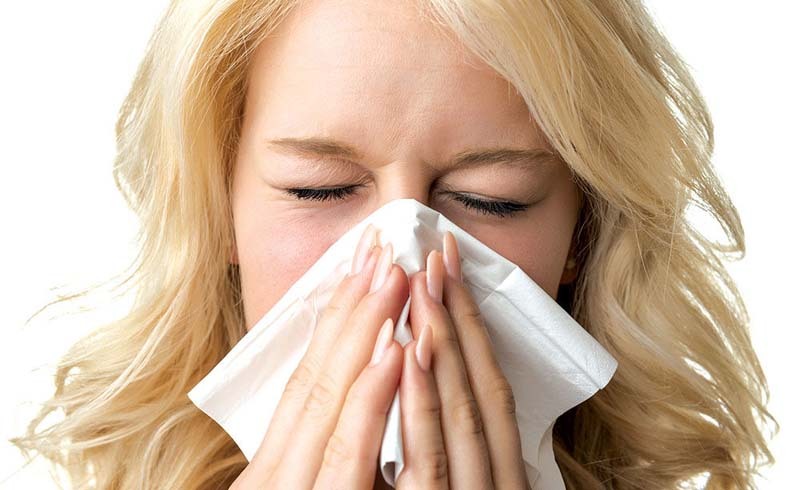 Most of the time, walking pneumonia is caused by a type of tiny bacteria called Mycoplasma pneumoniae, which typically results in less severe symptoms. Coughing up a mix of mucus and saliva (aka sputum) can be a tip-off that you have pneumonia of some kind. 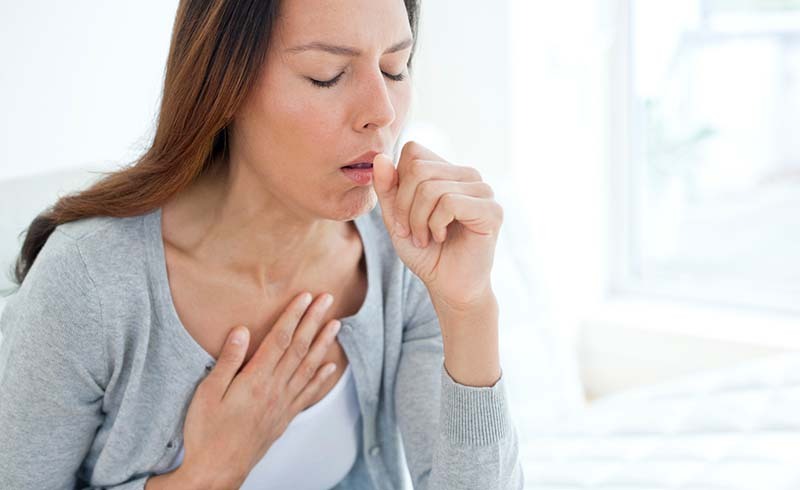 “A cough with yellow, green, brown, or bloody sputum can be a sign that it is pneumonia, but it is not always a conclusive sign,” Susanna Von Essen, MD, professor of pulmonary medicine at the University of Nebraska Medical Center in Omaha, tells Health. That cough may last several weeks, well after the infection itself is gone. A fever is also an important clue—especially one over 100 or 101 degrees—that your symptoms are from pneumonia, says Dr. Von Essen. Then again, she adds, “some of the sickest [pneumonia] patients do not have a fever at all.” The flu can also come with a fever. Generally speaking, walking pneumonia symptoms appear one to four weeks after you’ve been infected and can last a week to a month (or longer). Many cases of walking pneumonia go undiagnosed simply because the patient doesn’t know he or she is sick—or mistakes the symptoms for a cold. And, in fact, many cases of walking pneumonia get better on their own. Sometimes, though, that persistent, nagging cough might eventually drive you to go see a doctor. You'll usually get a physical exam and sometimes chest X-rays to diagnose walking pneumonia, and if it’s determined that you have it, you’ll typically be prescribed antibiotics. You can also make yourself more comfortable with plenty of rest and lots of fluids. Over-the-counter antihistamines (for nasal congestion), cough medications, and nonsteroidal anti-inflammatory drugs (for pain and discomfort) may ease some symptoms, but always check with a doctor before giving any of these meds to a child. Although walking pneumonia usually isn’t life-threatening, it can be. It may also lead to meningitis (inflammation of the tissues lining the brain) or encephalitis (inflammation of the brain). Once you’re on antibiotics, you’re less likely to spread walking pneumonia to others, but pneumonia in any form (not to mention bronchitis, colds, and the flu) is easily transmissible through coughing and sneezing. Wash your hands regularly and avoid sharing cups, toothbrushes, and utensils so you don't spread your germs to others. U.S. Daily News: Could You Have Walking Pneumonia?